A brave new project that is the culmination of thousands of volunteer hours has launched in our community. The Viva Musica Society has gone through a lengthy soul searching process and has evolved into the “Kelowna Summer Musical Theatre Festival”. They will be offering two outdoor theatre shows 4-5 nights per week between July 19th and Aug 10th. The shows will be located on the outdoor stage at the Rotary Centre for the Arts. 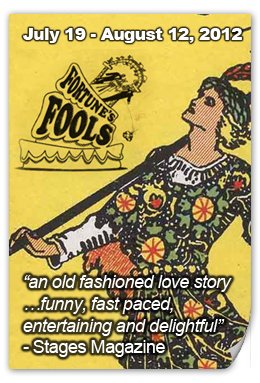 which had its Off‐Broadway premiere in 2003 and was remounted last fall at the Midtown Theatre in New York City. 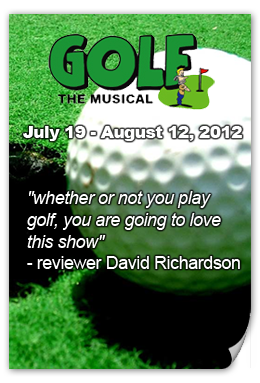 While as a sport golf may be exasperating for some and exciting for others, in the world of GOLF: The Musical, “what you don’t know about golf won’t hurt your enjoyment of this show, and what you do know will only enhance it” (TheaterMania). The show celebrates the fun, frustration and elation of this popular sport. Artistic Direction for the plays are provided Neal Facey and Roslyn Frantz.